It’s hard to believe that it has already been over 50 years since electronic health records (EHRs) first came on the scene. Once met with skepticism and resistance, electronic charting is now the norm in most hospitals, as well as in many physical therapy clinics. Staying up to date with technology, or failing to do so, can make or break your practice. Paper-charting stragglers have often struggled to recruit fresh PT talent, as many new grads have grown up with computers and find EHRs preferable to paper documentation. Similarly, acknowledging the importance of an online presence (search engine ranking, Yelp reviews, etc.) is vital to the success of today’s PT clinics. Technological developments continue to press forward, and savvy clinics are leveraging the latest technologies, in order to attract the best clinicians, remain financially viable in times of reimbursement cuts, and set themselves apart from competing clinics. While many clinics have been using EHRs (electronic health records) for some time, others are just now hopping on the bandwagon. When not leveraged properly, EHRs can make it challenging to feel connected to patients during treatments. Forward-thinking clinics are using tablets (iPads, etc.) to enable therapists to move through the clinic with patients, without losing the ability to document as they treat. 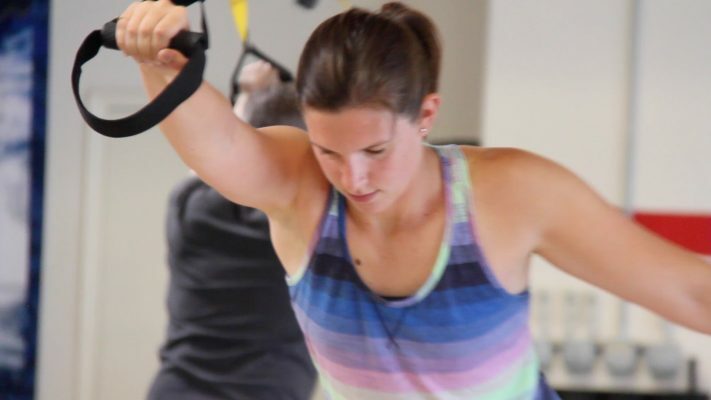 This strategy hearkens back to the days of paper charting, allowing therapists to chart organically, while still being available to tweak exercises, grab equipment, etc. Like it or not, younger patients aren’t as fond of paper printouts as older patients. And even older patients are starting to prefer electronic versions of HEPs. With the advent of smartphones, patients are becoming accustomed to keeping track of pretty much everything in their handy pocket computers. By using HEP apps and emailing patients their exercise programs, you offer a valuable form of convenience, while appealing to tech-savvy patients who likely found you on the internet! Telehealth is the inevitable result of a growing human population, aging baby boomers, and an American culture that values convenience. Telehealth is a response to a changing healthcare landscape and is being leveraged by major insurance providers, enabling patients to see doctors without leaving their homes. Beyond general practice, telehealth has expanded into the mental health provider arena, and it is now being used by physical therapists. The APTA endorses telehealth and sees it as an inevitable sea change in the shifting landscape of patient care that should be embraced. Savvy PT clinics see the value; not only can they effectively treat busy and rural patient populations, they can also increase their revenue and pay PTs fair wages in an age of decreasing reimbursements. PHZIO – Based in Los Angeles, PHZIO was created by Darwin Fogt, MPT, the owner of the Evolution Physical Therapy family of clinics, and Doug Maclellan, a serial entrepreneur and patient of Fogt’s. PHZIO enables clinics to utilize their existing computers and staff, equipping them with software and training to provide care for underserved populations, increase clinic revenue, and help prevent therapist burnout. Reflexion Health –San Diego based Reflexion Health uses a proprietary system called Vera, which provides an in-home, on-demand rehabilitation assistant. This system uses the Kinect gaming console, rather than physical therapists, to deliver patient exercises and monitor their movements. Exoskeletons have been on the market for some time now, but they’re reaching the point where they’re becoming more available to smaller clinics, rather than being accessible to only the largest hospital systems. These devices are worn by partially and completely paralyzed patients, and enable them to stand upright and walk. Ekso – Used in over 130 rehabilitation centers worldwide, the Ekso GTTM exoskeleton has the widest name recognition amongst physical therapists. Suit X – At only 27 pounds, the Phoenix suit is the mainstay of the suitX brand. Founded by former Ekso exec, Dr. Homayoon Kazerooni, suitX aims to be the lower-cost answer to what has traditionally been a cost-prohibitive approach to patient care. Costing $40,000, suitX enables smaller competitors to enter a rehab market that has traditionally been dominated by corporate giants. ReWalk – Another large, long-term player in the exoskeleton game (it was founded in 2001), ReWalk also boasts name recognition and longevity. Its ReWalk device allows patients to walk on a variety of terrains, while independently controlling the device. Recruitment – Obviously, ads in the Penny Saver have fallen by the wayside. Clinics and hospitals have taken to new methods of recruiting top PT talent. From APTA’s CSM to local chapter meetings, in-face meetings are always effective for making connections. But new technologies enable savvy clinics to reach top talent without having to travel. LinkedIn enables job searchers to follow companies that interest them, as well as see how many applicants have applied to a particular position. Glassdoor enables applicants to take note of a clinic or hospital’s reviews, much like Yelp enables diners to see how other folks have rated restaurants’ fare. Newer to the scene, Covalent Careers is a job-matching platform for allied health clinicians, which boasts a custom algorithm that strategically matches employers and job seekers. This technology, along with an in-house recruitment team, enables employers and employees to enter long-term, short-term, and per diem contracts with confidence. Clearly, technology continues to permeate the physical therapy arena, from staffing to treatments. Technological advances, such as telehealth, are an inevitability, and savvy clinic owners are setting themselves up for success now, by adopting technologies early and leveraging them intelligently.